Although you can’t see whether or not your building’s air ducts are clean as you would your carpet or furniture, your customers, employees and other visitors and guests will definitely know if they’re not. Filthy air duct decrease the inside air quality and spread dirt accumulation throughout the system. But with Kiwi’s 2-year Guarantee, you won’t have to worry about mold spores or other airborne contaminants in your commercial ducts. Filthy air ducts can negatively impact inside air quality, leading to airborne contaminants and possible health issues. In addition to dirt and soot accumulation, mold and mildew can grow. When air circulates through your air conditioning and heating system, mold spores will spread through the atmosphere. For these reasons, it is critical to keep commercial air ducts clean. Why Call KIWI For Commercial Air Duct Cleaning In Houston? KIWI commercial air duct cleaners can thoroughly clean your company’s air ducts to improve the quality of the air, remove odors and eliminate dust and contaminants that can cause allergic reactions. In moist or humid conditions, especially if the air ducts are not well insulated, mold and mildew build-up can be more severe. Keeping air ducts clean also reduces your energy costs by helping your HVAC system operate more efficiently. Our 2-year air duct cleaning guarantee for businesses and residential customers promises that mold and mildew won’t re-grow within the air ducts. Kiwi’s air duct cleaning service for organizations and businesses can also restore air ducts to fully operational condition after a fire or flood. Clean components of the HVAC system that handle air circulation, such as the unit, squirrel cage and fan. Remove and hand wash vent covers to remove all contaminants, both visible and microscopic. Vacuum every duct in the system to remove all debris, dust, ash and other substances. Apply an antimicrobial treatment to the entire system to kill mold and mildew and prevent re-growth for 2 years. Clean areas around the vents. Clean and replace existing filter to keep contaminants from re-entering the air ducts. Commercial air duct cleaning should be handled by a professional. KIWI is the obvious choice! 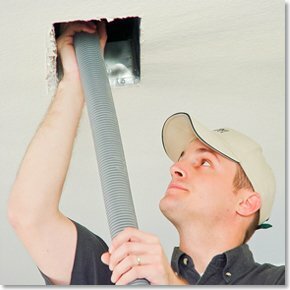 Restore your ducts and vents to “just installed” condition. Call us at 713-595-0498 for more information and to schedule an appointment. We will work around your schedule and we guarantee customer satisfaction.